This page highlights sustainability-related awards and contests for students and educators. If you know about a contest not featured on our page or would like us to spotlight a district recipient, please let us know. 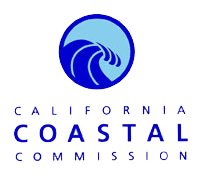 The California Coastal Commission invites all California students in grades K-12 to participate in the Coastal Art & Poetry Contest. The deadline to submit entries is at the end of January. 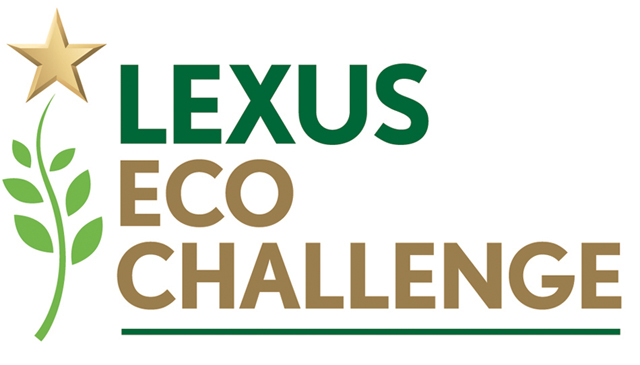 The Lexus Eco Challenge Contest is open to students in grades 6-12. Students form teams to create action plans for either land and water or air and climate environmental issues. Create a short video - up to 60 seconds - about human population growth that highlights one of the following global challenges: Advancing Women & Girls, Feeding 10 Billion, or Preventing Pollution. 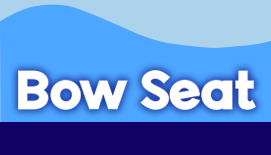 Students in grades 4-12 are invited to enter the Los Angeles Department of Water and Power Art Contest that promotes local water and energy conservation solutions at school and home. Must be in classroom enrolled in "Water, Energy, the Environment and You" program. 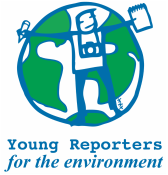 Young Reporters for the Environment challenges students to identify an environmental or sustainable issue in their community to investigate and report on through an article, photo essay, or video. Congratulations to Christopher Figuracion and Genavieve Mather of San Pedro HS, 2nd Place Winners in 2016 for their video "A Clean San Pedro, A Cleaner Earth". 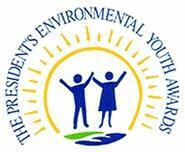 The President’s Environmental Youth Award (PEYA) recognizes outstanding environmental projects by K-12 youth. The PEYA program promotes awareness of our nation's natural resources and encourages positive community involvement. The Presidential Innovation Award for Environmental Educators recognizes outstanding kindergarten through grade 12 teachers who employ innovative approaches to environmental education and use the environment as a context for learning for their students. Up to two teachers from each of EPA's 10 regions, from different states, will be selected to receive this award. The White House Council on Environmental Quality (CEQ), in partnership with the U.S. Environmental Protection Agency (EPA) administers this award to honor, support and encourage educators who incorporate environmental education in their classrooms & teaching methods. The Carton 2 Garden program gives students the opportunity to repurpose cartons to either build or enhance their school’s garden. The best use of cartons in a school garden gives the team a chance to win a prize for their school valued up to $5,000. Related curriculum available when you register. Start collecting cartons early! The Stockholm Junior Water Prize (SJWP) is the world's most prestigious youth award for a water-related science project. The prize taps into the unlimited potential of today's high school students as they seek to address current and future water challenges. The NEED Program combines academic competition with recognition to acknowledge those who achieve excellence in energy education in their schools and communities. 6The Gloria Barron Prize for Young Heroes celebrates outstanding young leaders. Each year the Barron Prize honors 25 inspiring young people who have made a significant positive difference to people and our planet. Each year the Brower Youth Award recognizes the work of six young leaders who are making strides in the environmental movement. 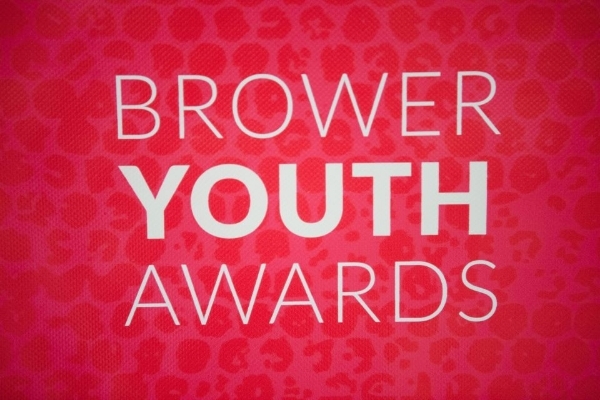 Brower Youth Award winners demonstrate excellent leadership as well as a commitment to the communities their work serves. Join the Energize Schools Earth Day Campaign Contest by creating a sustainability behavior change campaign at your school and in your community. Compete to create positive, measurable, changes in behavior in one of the four categories: Energy, Waste, Water, and Transportation. Prizes valued at over $3,000 will be awarded to schools. This is an interdisciplinary contest that weaves together ocean awareness, creativity, and advocacy. Middle & high school students are asked to think critically about challenges facing the ocean. Students may enter in one of four categories: art, poem, prose, or film. 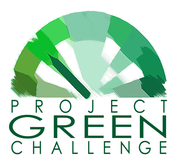 Project Green Challenge raises awareness about conscious living, informed consumption, and the collective impact of individual actions. Our aim is to inform, inspire and mobilize powerful student leaders to be the change and help sustain a healthy, just and thriving planet through individual, campus, and large scale action. Submission Deadline Yearly in October, with other ongoing activities. Join the Energize Schools Energy Conservation Competition starting on October 24th. High Schools can win prizes for greatest percent electricity reduction and best student action plans and campaigns. The aim of Green Ribbon Schools is to inspire schools, districts and Institutions of Higher Education to strive for excellence, by highlighting practices and resources for sustainability all can employ. Applications available in September. This program exposes children to agriculture and demonstrates, through hands-on experience, where food comes from. The program also provides youth with valuable life lessons in nurture, nature, responsibility, self-confidence, and accomplishment.